Draft National Policy 2018 aims at sustainable forest management by incorporating elements of ecosystem security, climate change, forest hydrology, robust framework to monitor and develop forest cover and strengthening an overall environmental balance. As per the draft that argues to revise the National Forest Policy 1988, there are concerns for biodiversity conservation and the need to enhance forest ecosystem services. It aims at having a minimum of at least 1/3rd of total area under forest cover and tree cover and 2/3rd areas in the hills and mountainous regions. This will help in preventing soil erosion and land degradation and ensure the stability of fragile ecosystem. 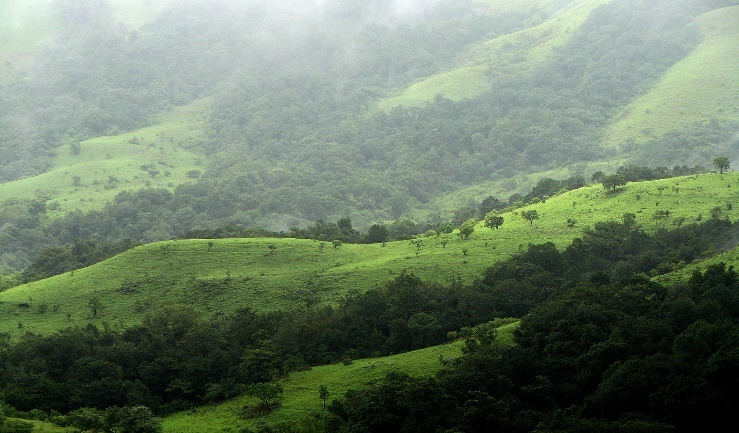 Forestry in India is an important rural industry and major environmental resource. Forests in India are source of wood, fuel, latex, gums, medicinal plants, essential oils, etc. It is a source of income for millions of populations, but its exploitation also becomes environmentally unsustainable. Earlier there was a policy of 1988 which stressed that the environment must be protected for which all the necessary measures must be taken. The Draft National Policy 2018 is giving more strength to the earlier policy, being more realistic and more scientific. Draft National Policy talks about a lot of new measures that the Government plans to take. But, it is not easy to increase the already deteriorating forest cover of a good quality as getting a land for it is tough. Forest Survey of India in its latest report also says that the quality of dense forests has dramatically gone down. The Draft Policy 2018 talks about maintaining a quality of the forests. But the policy speaks about private intervention. But plantations by private players can be a havoc. Natural ecosystem not only provides soil conservation, enrichment of soil, water conservation, it also ensures that a balance of entire ecosystem is maintained. Plantations cannot provide a permanent alternative to it. A private player will not, in general, come up to increase the forest cover unless it is profitable to it. They may take up only a few hundred acres as part of CSR activities. The policy thus requires a balance between profit and conservation. Any misuse of forests by the private players shall be avoided. Convention on Biological Diversity (of which India is a part) is a multinational treaty that speaks about a mechanism by which private participation can be allowed. The Biological diversity Act, 2002 in India provides mechanism for equitable sharing of benefits arising out of the use of traditional biological resources. The Government today stands responsible to Supreme Court, High courts and National Green Tribunal in matters related to environmental conservation. The Policy talks about People who are living in and around the forests should have their rights and they shall be made a part of conservation. Among the many new things in the Draft Policy is Urban Forestation. As India is urbanising, the spaces which were once green have been taken up by concrete structures. An urban forest can control rising air pollution in Indian cities (which is very high as per latest WHO and CPCB data), water conservation and help in management of flooding. So, if the project is taken up by municipal corporations, it can be very beneficial. 1840: Crown Land (Encroachment) Ordinance by British colonial administration targeted forests in British Asian colonies and vested all forests and such lands to the crown. 1864: Imperial Forest Department established in India. 1865: British monopoly over Indian forests asserted through Indian Forest Act, 1865. 1878: British acquired sovereignty over all forests by Forest Act, 1878. 1927: It defined a Reserved Forest, a Protected Forest and a Village Forest. It also defined forest offence and penalties related to violation of the Act. 1952: Government nationalised the forests; earlier with the zamindars. 1988: National Forest Policy, 1988 led to Joint Forest Management Programme by which protection of forests became responsibility of people along with the forest department. India reversed the deforestation trend and FAO has ranked it amongst the 10 countries with the largest forest area coverage in the world. As per 2015 FAO Global Assessment observers, the forest cover in India was 23.8% of the total land area. India’s forest cover has grown at 0.7%/annum from 2000 -2010, after decades of forest degradation issues. The Draft Policy talks about talks about many new plans which need to be taken up effectively with necessary safeguards to prevent any misuse of forests. Present need is proper forest management which is the practise in which forests are sustained while meeting nation’s economic needs and local issues through scientific forestry.